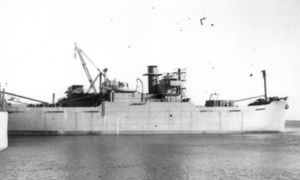 Avondale Park was a member of Convoy EN 491, which departed Hull on 6 May 1945 bound for Belfast via Methil. 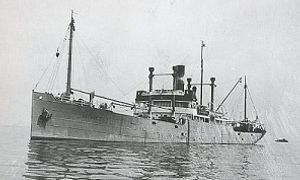 On 7 May 1945, the convoy was attacked by U2336 and two ships were sunk, Sneland I and Avondale Park, which became the last British merchant ship to be sunk during the Second World War. The sinking, at just after 23:00, was in the last hour of the Second World War in Europe, with the official surrender taking place at midnight. Two of the 38 crew were lost. A signal was sent to the U-boats on 4 May 1945 ordering them to surrender but U-2336 did not receive the signal. This is a large wreck and will take a few dives to explore fully. Large anti-aircraft gun on stern. Machine guns on flybridge. HMS K4 left harbour bound for a North Sea exercise. In what became known as the Battle of May Island a number of submarines were lost. Several collisions occurred, including K6 colliding with K4. So great was the collision that K4 was cut almost in two and sank immediately with the loss of all onboard. Sunk by ramming by HMS Ariel in 1915. Infamous as the first submarine to launch a plane, but its use was limited as can be seen from the photo to the left, as it could only be carried and launched in good conditions. The wreck today sits on a light sandy bottom (46mtrs) with the conning tower around 42mtrs. As she is a fair way offshore visibility is usually very good. Twin Stern torpedo tubes are a unique feature of this wreck and there is usually a resident lobster to be found in one of them! 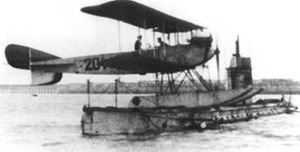 Powered by a single two stroke engine running on paraffin and driving twin screws, this is a good example of a first world war U-boat. 36mtrs to bottom - 32 to top. Built in 1900 as a steam coaster by Scott and sons 177ft x 21f x 9ftf. Single double expansion engine by Muir and Houston, single shaft. 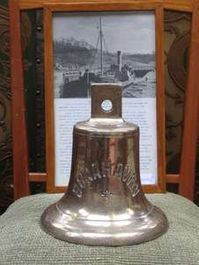 Passage from Dundee to Leith, Reported missing after passing North Carr Lightship and not seen again. Sank during Force 9 Gale. 6 Crew were lost, as were 6 of the crew of Arbroath lifeboat 'Robert Lindsay' which was attempting to assist. Lies upright and intact. Due to currents in this area it can only be dived at slack water. Bell Rock - see Stevensons lighthouse and the dive remains of the Wreck of HMS Argyll.